Andrew Marr was on the next-door bar stool. At one time this might have caused excitement. But never mind him (though he did look much younger, leaner and more twinkly than in his standing-outside-Downing-Street-for-hours-in-the-rain days); it was the sherry that had my attention when I popped into Meson Don Felipe near Waterloo for tapas last week. That’s because they had Tio Pepe en rama on the menu. If that sounds like meaningless gibberish let me explain: en rama is a special bottling of Tio Pepe’s ordinary fino sherry made without fining or filtration. The idea is to replicate the experience of tasting sherry direct from the cask in a shady bodega in Jerez. 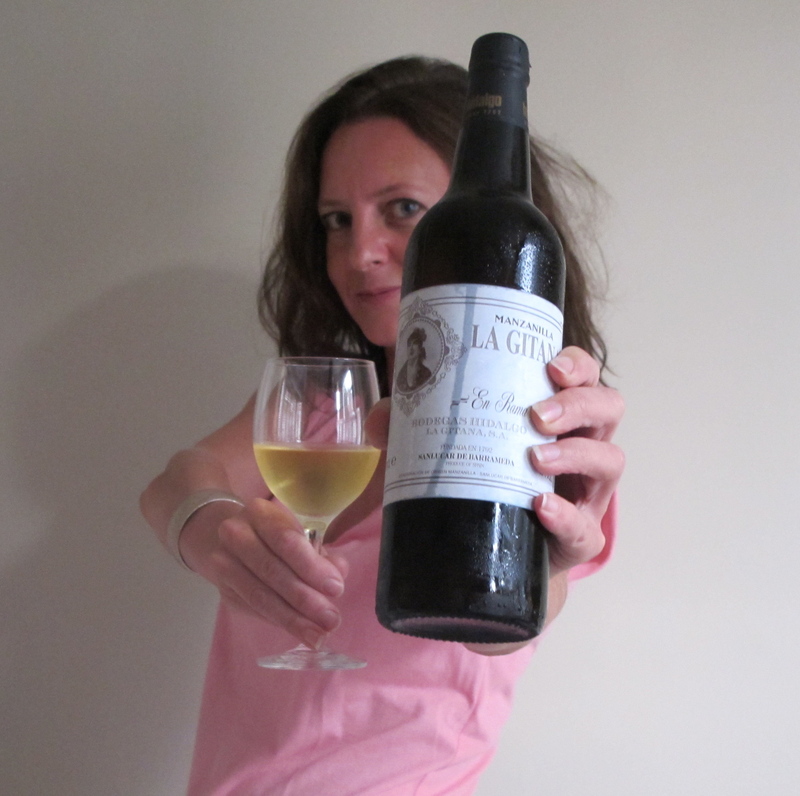 It’s only been done three times and this precious sherry is so loved that it is sold by allocation: bottles are snapped up faster than a Coach handbag in the Liberty sale, though at about £14 a throw they are considerably cheaper. This year, 11,850 were produced, about half of which came into the UK. This was a rare sighting – this spring’s Tio Pepe sold out ages ago – but a couple of days later I found a few bottles of another en rama sherry in Lea & Sandeman in Notting Hill. This one’s a manzanilla – dry, and the lightest sherry style – called Manzanilla La Gitana En Rama and it costs £13.95. I bought one (see above) and opened it with my mum. “This smells of the sea,” said mum. I gave her a round of applause. This is what wine people say about manzanilla and get accused of being fanciful. I am ashamed to say I then had a moment of doubt. Are you sure it smells of the sea and not of the crab toast you’ve just eaten? Mum: No, that would smell like dead fish. This smells like the sea. Oh this is absolutely delicious. Normal manzanilla makes me think of a cold sheet of water falling. This is like all the water but with all the foam that splashes round it as well, making you taste ALL THAT not something that’s just been and gone so you think IS THAT IT? Oh this is so much nicer than ordinary manzanilla. Me: Because it hasn’t been fined or filtered. Mum: So why do they bother normally then? Me: Because it doesn’t keep very long like this, about four months. This one needs to be drunk by the end of August ideally. Which doesn’t seem a shame. I gave mum 10/10 for her tasting note. She scores less well on pronunciation: manzanilla isn’t meant to rhyme with Godzilla. And slightly less well for her photography: the lighting in the above picture is odd because it took me so long to show her how to use the camera – which is fully automatic – that it had got dark by the time she took it and I couldn’t face showing her how to switch on the flash. But who cares about that, frankly. She loved the sherry. And she was right. It’s fantastic. 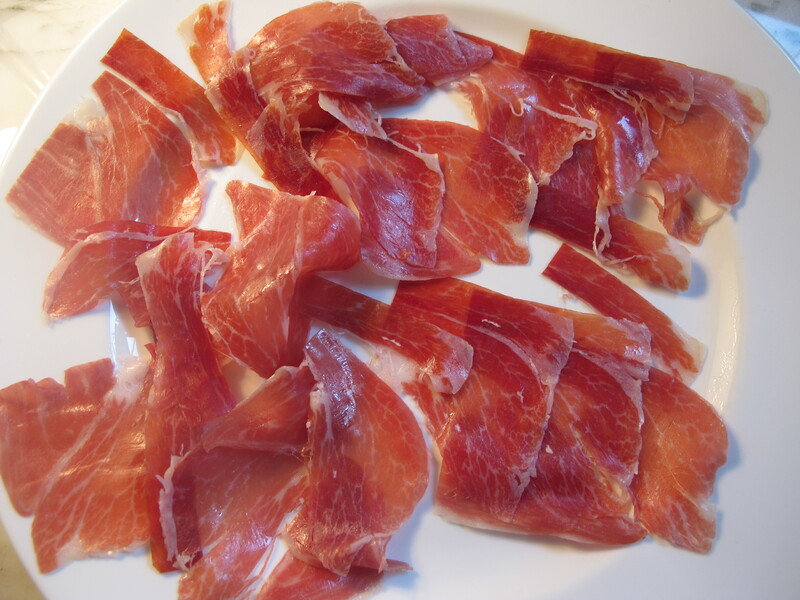 There are a few bottles left, and it’s delicious with jamon. Think of it as going out to an expensive tapas bar but doing it at home, eating and drinking better, and saving money. Taste blind Tio Pepe En Rama, La Gitana En Rama and Sanchez Romate Fino Perdido (from The Wine Society). I think TP wins, but Perdido at £7.50 is far and away best value. And it has easily the prettiest label! Sounds like I need to try that WS one…. So what is the “sea” scent you both detected? Iodine? Is it in the grape or the sediment? Can you be more descriptive, please? Hmm. A bit salty? I’d say almost archetypically what we think of when heading towards it we say, “I can smell the sea!” Rather than which beach or which sea on what sort of day. I’ll leave the scientists to come to blows about what creates it…. So, it’s briney? Like an opened jar of olives? I once contemplated starting a home catering company and was going to call it ‘A Soupcon Moore’ – but enough of that. I always thought – if I ever thought about it which I don’t think I did- that it was the combination of salty sea, seaweed and fresh air. Can’t we just enjoy the sherry- carried it safely home from London but found the magic had already gone.